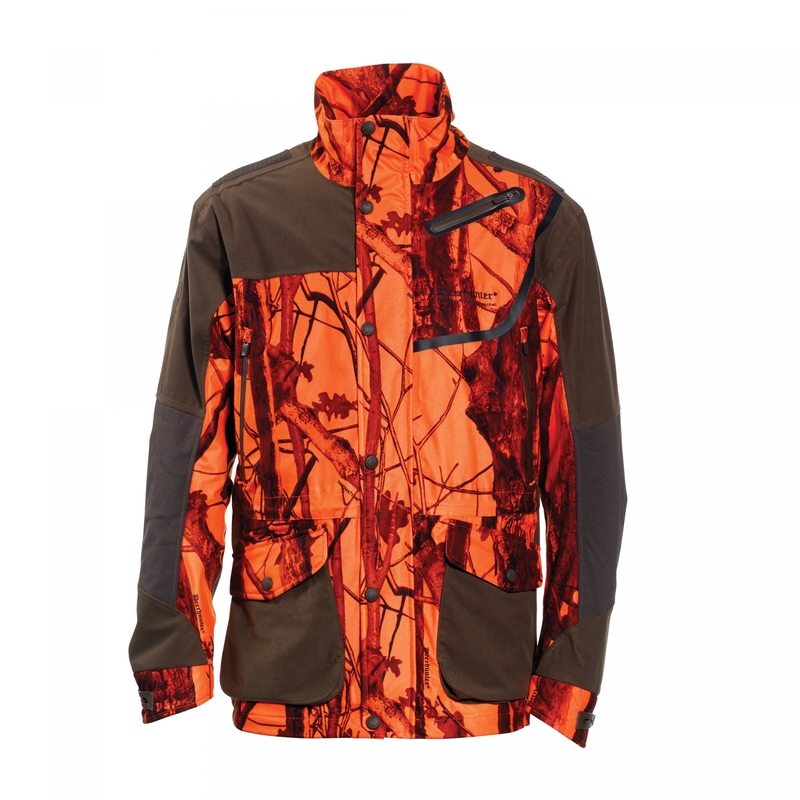 Cumberland for hunting on the move – while keeping you safe and invisible at the same time!Cumberland is Deerhunter’s totally unique autumn wear in a modern mix. The set is designed to be worn by all – including the traditional hunter looking for a trendy hunting outfit.Most animals have monochrome vision, so they do not register colours in the same way as humans. They see contrasts! 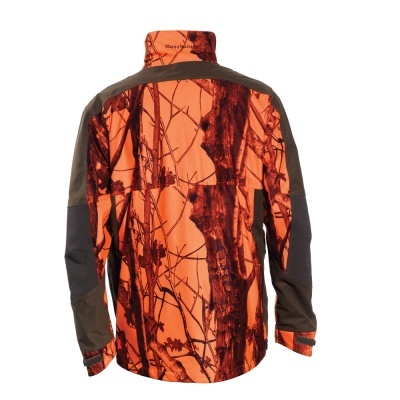 Consequently, the fact that the clothing is orange will not affect the hunting; on the other hand, it helps you and your fellow hunters to see one another clearly.Thinsulate Platinum Flex is a highly elastic insulation that stretches 40 % in all directions yet returns to shape without creasing. 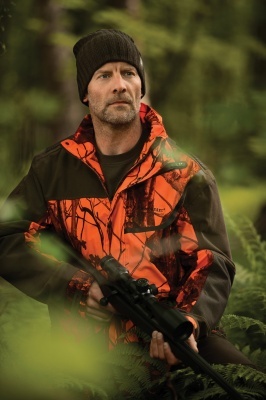 The unique fabric is used in insulation, seams and mesh linings, making the Cumberland trousers and both the short and long versions of the jacket extremely suitable for hunting on the move. The sturdy winter jacket is also the result of another wish, to create a more lightweight winter jacket with the same high heat-insulating properties. Cumberland is supplied in several variants: A waistcoat with and without reflective edging and with a Deerhunter® Stormliner Membrane. Trousers with reinforcements and three different jackets to ensure freedom of choice. The set is 100% waterproof, windproof and breathable. 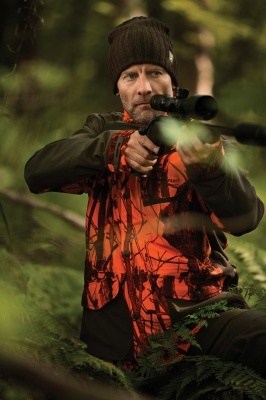 With a Deerhunter Colmar fleece, you are perfectly dressed for lots of good hunting. Here to Help . . .
At Serious Country Sport we are always delighted to talk to our customers. While we hope that we will be your preferred vendor for outdoor sports and country gear, we also hope to become firm and trusted friends with many of you. Please include your phone number if you'd like us to call you back. We try and respond within a few hours max.